The Denver Nuggets travel to the American Airlines Center in Dallas, Texas to take on the Dallas Mavericks in what promises to be an interesting game. The Nuggets have been among the best teams in the NBA all season long and find themselves in the 2nd place in the Western Conference. They have a 39-18 record and sit 2 games behind the leaders, Golden State Warriors. They have won 7 of their last 10 games and are on a 2-game winning streak. 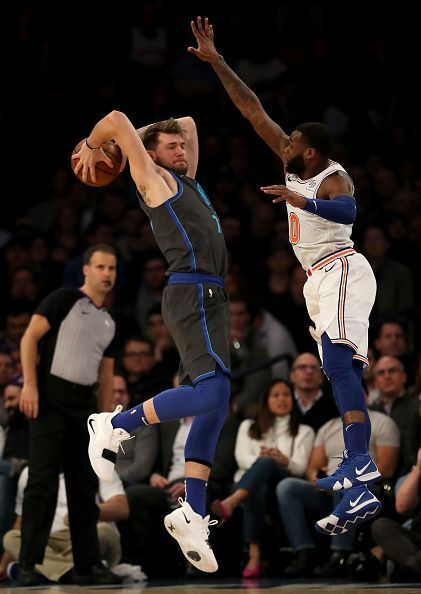 The Dallas Mavericks, on the other hand, started their season well, but traded away all their good assets for Kristaps Porzingis and Tim Hardaway Jr. before the trade deadline, possibly setting their sights on the next season. They are currently 12th with a 26-31 record and have won just 5 of their last 10 games, losing 2 in a row. 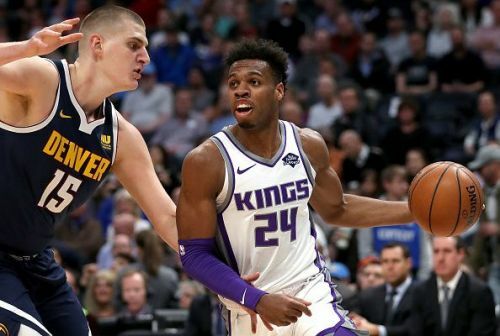 The Denver Nuggets, in their last game, beat a surging Sacramento Kings side, 120-118, while the woeful Dallas Mavericks struggled in their most recent game, losing to the Miami Heat 101-112. Dallas Mavericks: Point guard JJ Barea is out for the season with an Achilles injury and Center Kristaps Porzingis is also out with a knee injury. Denver Nuggets: Forwards Michael Porter Jr. and Tyler Lydon are out with a back injury and a concussion respectively. The Dallas Mavericks have been powered by a Luka Doncic engine all season long. The rookie from Real Madrid has been on fire this season and leads the race comfortably for Rookie of the Year. He has been averaging a superb 20.7 points per game, along with 5.6 assists and 7.2 rebounds as well and is in some elite company. The rookie's usage has been off the charts lately and the Nuggets will really need to slow him down if they want to win the game against the Mavericks. Last game stats: 18 points, 5-17 FG, 12 rebounds, 9 assists and 6 TOs against the Miami Heat. The Denver Nuggets have been the team that has surprised everybody this season, climbing to 2nd place in the Western Conference. They have been dragged to the top by an insane MVP level season by their ball handling center, Nikola Jokic. Jokic has been averaging 20.4 points per game, along with 10.6 rebounds and 7.1 assists, which is bonkers for a big man in the NBA. He has also been great defensively and carried the team on his shoulders through a spate of injuries the Nuggets have faced. The Mavericks really need to shut down Jokic if they are to have a chance at winning the game. Last game stats: 20 points, 7-17 FG, 18 rebounds, 11 assists, 1 steal and 4 TOs against the Sacramento Kings. With the lack of a strong center, the Mavericks have a very faint chance of stopping a rampant Nikola Jokic, along with his team of amazing role players that have been beating teams like the Mavericks all season long. Luka Doncic might be able to single-handedly flip the game, but barring a monstrous performance from the rookie, The Nuggets should take this one.